I sit through a lot of presentations and I have strong opinions about the right way to do them. 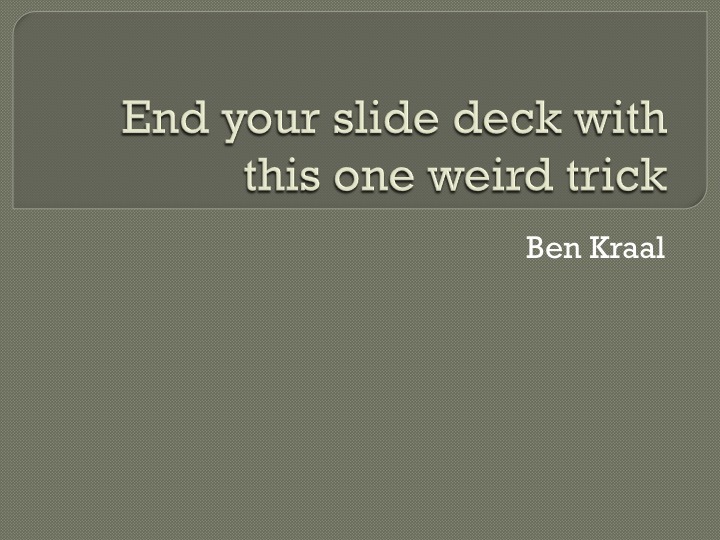 One of my pet hates is the “questions” slide that people put at the end of a deck. I hate this for three reasons. 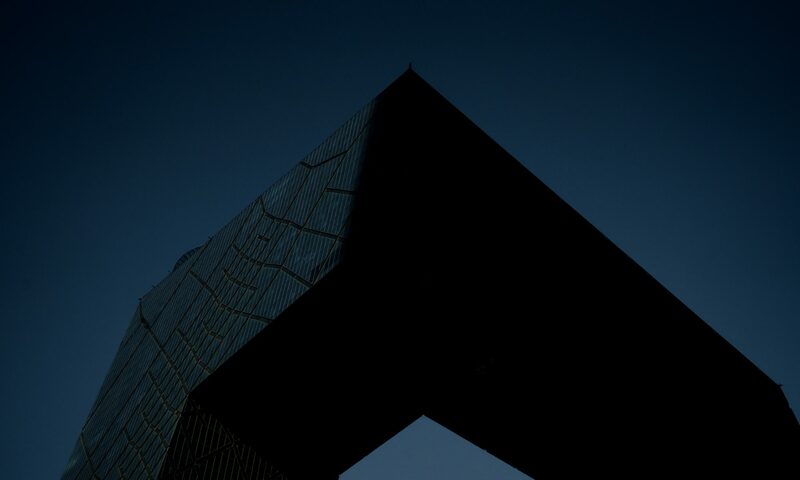 First, it ends a presentation of work that’s taken anywhere from six months to three years to complete with a banal image and an obvious request. People don’t need to be told to ask questions at the end of a presentation. 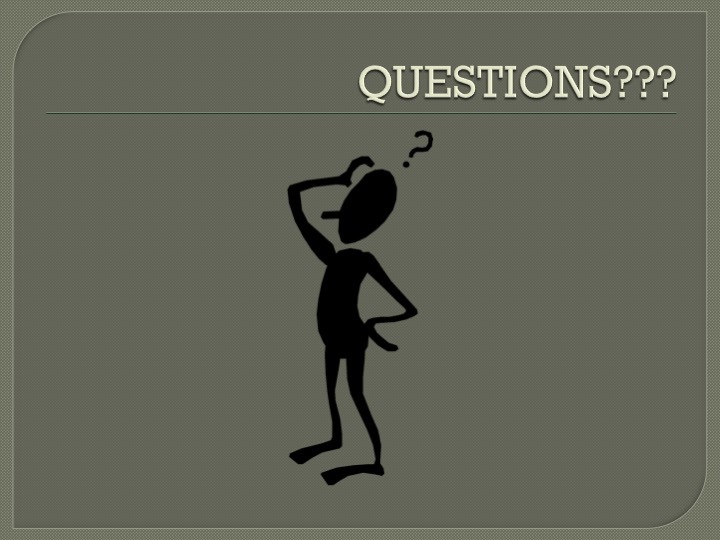 The second reason the “questions” slide is a bad thing to do is that it shows a lack of care. The exact image I’ve used above is a first page result in an image search for “questions” yet I see it used to conclude work that I know was agonized over. Choosing a different image doesn’t fix the “questions” slide, though. The last reason that the “questions” slide is awful is that it does you, the speaker, no favours. You’re trying to convince an audience of something and you’re standing there in front clip-art instead of taking your last chance with the audience to reinforce your message. Instead, you should do one of two things. 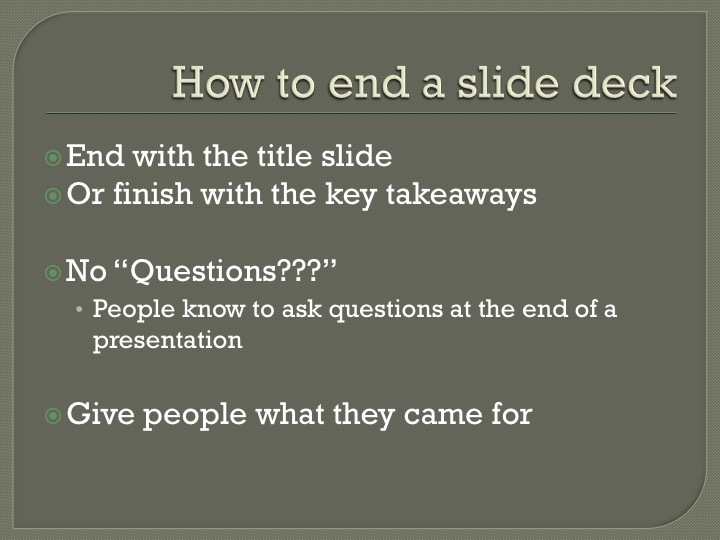 Make a new slide with the key take-aways and finish with that. In both cases, you thank the audience for their time and you reiterate either the title or topic of your talk or you quickly run through the key take-aways. This is because no-one comes to a presentation to be told to ask questions. They either come to hear you speak on a topic you’re uniquely qualified for, or they come to learn something. Give them a visual reminder of what they came for. This is how to do it. Don’t use a default template though. Also, don’t use this default powerpoint template. It’s quite horrible. Previous PostPrevious Does it make your life better?